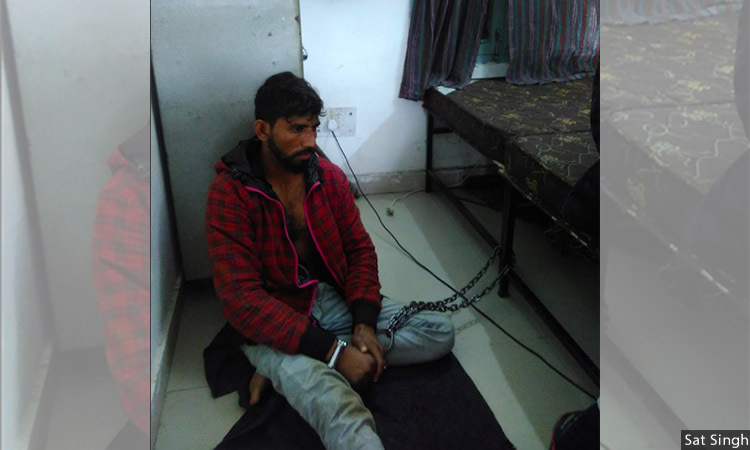 Naushad Muhammad, 24, spent the night illegally chained to a bedpost in the Sadar police station of Rohtak, Haryana, on suspicion of ‘cow smuggling’. He said he was transporting buffalo, when a mob of gau rakshaks (cow vigilantes) attacked him on January 19th, 2019. 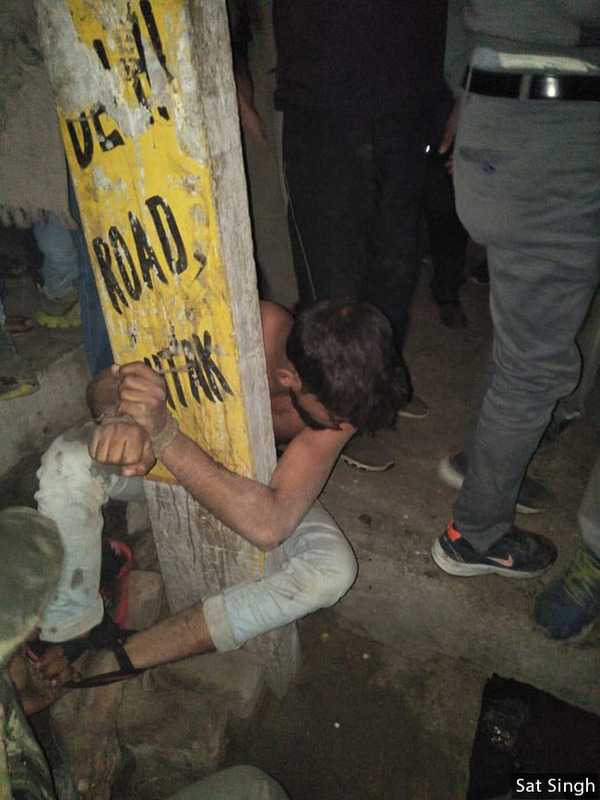 Rohtak, Haryana: Beaten, bloodied and bruised by a mob of 15-20 villagers from Bhalaut, a southern Haryana town of 8,000 people, 24-year old Naushad Muhammad spent the night of January 19th, 2019 chained up in the local police station, on suspicion of ‘cow smuggling’. Despite the visible and open wounds marking his body, Muhammad, who was transporting buffaloes, said he was denied medical treatment, handcuffed and given just a painkiller until civil society members arrived the following day, agitating for his release and urgent medical attention. Manjeet Mor, station house officer inspector, denied that Muhammad was chained or denied medical treatment. “Naushad was sent home on the same night, January 19th, since there was no complaint against him till then,” said Mor. Photos obtained by Factchecker–and confirmed during interviews conducted during reporting–clearly show Muhammad handcuffed to a metal bedpost and slumped on the tiled floor of the Sadar police station, outside Rohtak, Haryana. While handcuffing without judicial consent is illegal by order of the Supreme Court and the denial of medical treatment in police custody considered a violation of the right to life, this was how Rohtak police handled Muhammad, we found. A case had also been registered against Muhammad under Section 11 of the Prevention of Cruelty to Animals Act, 1960, and under the Haryana Gauvansh Sanrakshan and Gausamvardhan Act, 2015 – legislation which bans cow slaughter, cow export and the sale of beef. 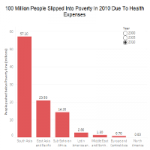 Muhammad is the victim of the first reported case of cow-related vigilante violence for 2019 and the 124th cow-related hate crime recorded since 2010, according to our database tracking cow-related hate crimes across India from 2010 to-date. Ferrying buffaloes from one point to another and travelling through Hindu-dominated villages was never something that had previously concerned Muhammad, being a regular feature of his job. But the events of January 19, 2019, means that has now changed. “Around 8 pm, I noticed a scooter chasing our vehicle mindlessly and shouting something,” said Muhammad. “As I stopped the vehicle to find out what happened, a man in his forties overpowered me and started shouting gau taskar (cow smuggler)”. This announcement was a call to arms for youths in the area. They began pouring out of shops and houses nearby, swiping at his face, pulling his hair and beating him, Muhammad said. “They dragged me onto a road and tied me to a pole,” he said. “Anyone who arrived at the spot to find out what was happening, was also either slapping me or kicking me and leaving me there to bleed”. Naushad Muhammad, 24, was tied to a pole and beaten by mob of young men from the town of Bhalaut in southern Haryana on suspicion of being a cow-smuggler. The attack on Muhammed was the 124th case of violence by cow vigilantes recording by our database since 2010. The beating continued, as Muhammad refused to bend to the mob’s demands that he admit to smuggling cows. Muhammad insisted he was transporting buffaloes in his jeep to a cattle fair in Uttar Pradesh. Taking Rs 2,000 and his motorcycle keys from his pocket, the mob surrounded him for two hours until the police arrived and took him to the police station, he said. “There was one elderly man who shielded me from the mob and risked his life,” Muhammad said. “There are good people everywhere”. Balbir Singh, the village head of Bhalout, was reluctant to acknowledge the events of January 19. While he acknowledged “something happened”, he was eager to disassociate his village with the violence. 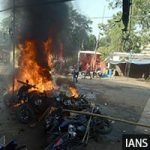 “Those who beat Muslim youths were outsiders, they are not from our village,” he told Factchecker. 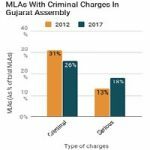 Since it is now a police case, the villagers are avoiding the issue altogether for fear of getting caught up in the ambit of various investigation agencies, he claimed. Jashpal Gummana, a resident of Sonepat district, is identified in the first information report (FIR) as the 40-something man who gathered local youths who then beat Muhammad along the Rohtak-Sonipat road. Gummana insisted that upon hearing cows bellowing form Muhammad’s jeep, he stopped the vehicle to take a closer look, but that Muhammad attempted to run him over. The resulting shouting caused nearby youths to rush over and form into a mob, but he claimed he was not a part of the violence that ensued. “I tried to intervene but to no avail,” Gummana said, regretting the fact that one of the villagers ortured Muhammad with a lit beedi. While an FIR has been registered against Gummana, he is not worried, he said, since he acted in the name of “holy mother cow”. “I respect cow as mother and make donations anonymously,” he said. “I rear two cows at my home and feeding hungry cows and treatment to injured cows is my favourite pastime,” For this reason, Gummana added, he should not be associated with the cow-vigilante group. Arriving at the police station, local civil society members said they were “shocked” by the sight of Muhammad chained in a room inside the police station and denied medical treatment. Having rushed to the police station upon the news that an ‘”innocent” Muslim youth was in custody, Rakjumari Dahiya, a local advocate, said they met with Jashandeep Singh Randhawa, the Rohtak superintendent of police, who, they said, promised an inquiry into the role of the police and promised action “if laxity is found”. 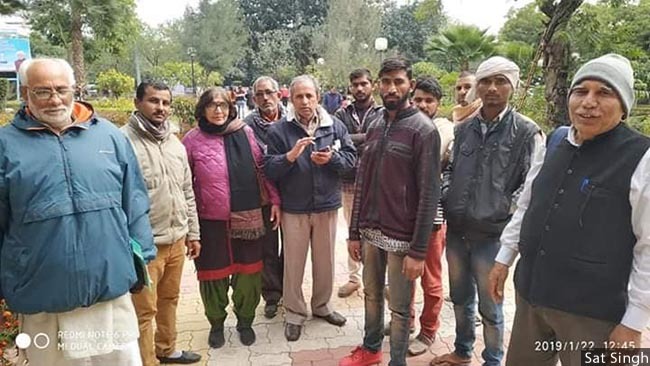 A local civil society group rushed to the Sadar police of southern Haryana where Naushad Muhammad, 24, was being held on suspicion of ‘cow smuggling’. He was freed when they protested. None of the attackers were arrested or detained. 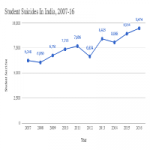 Local activists said they were worried about the rise of cow-related violence, recognising that it was adversely affecting the cattle trade and those that make their livelihood from it.